Tyco Security Products has now introduced Illustra Edge, a complete HD video system combining an IP camera, pre-installed exacqVision Edge video management software (VMS) and SD storage in one out-of-the-box solution. 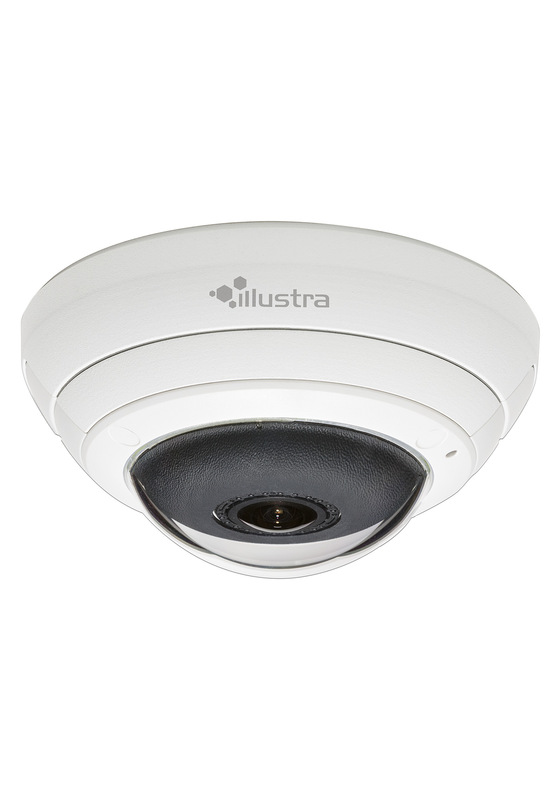 Ideal for smaller installations of up to ten cameras or remote sites where server hardware installations are rendered impractical, the Illustra Edge solution provides an easy and effective means to deploy an HD IP video system without incurring separate server hardware installation and configuration costs as the server software and video storage capability reside on board the camera. For system set-up, simply mount the camera, connect and start monitoring live and recorded video. Illustra Edge is supplied pre-configured with an included server licence for simple and automatic installation. For larger applications and enterprise solutions, a simple licence upgrade to exacqVision Edge+ makes this solution expandable to unlimited servers. With the included exacqVision Edge software, end users have the ability to view live or recorded video from multiple Illustra Edge devices or server-based recorders simultaneously. The included VMS allows users to export video search results, display alarm events on screen and access instant replay of both video and audio events via exacqReplay. The exacqVision client software runs on Windows, Linux and Mac computers. Additionally, end users can install the free web service software on a separate PC in order to view video on a web browser, tablet or smart phone. The Illustra Edge recording solution offers high reliability as there is no single point of server failure. If one camera fails, the others will continue to stream and record video. The camera-to-server traffic is internal and not on the customer’s network, thus yielding low overall network traffic. “This is a complete solution for end user customers looking to create their own video surveillance solution without the added costs of servers and complex installation,” said Julian Inman (video product marketing manager for the EMEA at Tyco Security Products). Illustra Edge is available in three camera models: the Illustra Pro 5 Megapixel Fisheye, the Illustra Pro 2 Megapixel Compact Mini-Dome and the Illustra Pro 2 Megapixel Compact Mini-Bullet. The Illustra Edge Fisheye camera boasts in-camera de-warping offering real-time 180º/360º panoramic views or a quad view delivering four independent ‘Quad’ 4×3 normalised video streams. Its 5 Megapixel capacity affords this camera solution the power of two-to-four cameras for many indoor applications. The Compact Mini-Dome and Mini-Bullet offer end users HD video with a wide field of view, IR illumination and wide dynamic range. Although discreet, these versatile cameras are equipped with multiple viewing angles including corridor mode, making them highly useful for hallways, aisles and alleyways.